Hookum Good Pro-Staff members use our products day in and day out. They can answer questions for you and they also provide professionally guided sport fishing trips. “Twisted Waters Guide Service is owned by Marc and Chris Bush. In 2004 the military brought the family to the Puget Sound area and they have been hooked on Salmon and Steelhead ever since. He began guiding in 2010 because he truly enjoys watching others catch these awesome fish. Marc was raised in upstate New York; he took to his Grandfather’s love of the outdoors. Twisted Waters Guide Service provides quality Salmon and Steelhead fishing sport fishing services in Washington State. 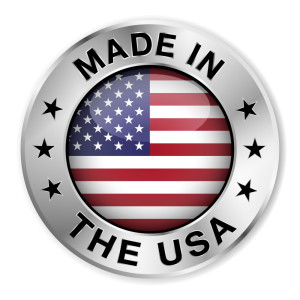 They provide quality equipment, bait, tackle and all the necessary safety gear. With over 25 years of experience, North Fork Angling Guide Service specializes in “hands-on” instructional fishing in Washington State. They will teach you the methods that produce results using the most reliable gear available – so you leave a better angler! North Fork Angling Guide Service practices “Fair Chase” strategies and welcome catch & release fishing for salmon, steelhead and more! If you want to create memories that will last a lifetime, then North Fork Angling Guide Service can facilitate your adventure. We offer the best fully outfitted Salmon & Steelhead trips available in Eastern Washington. From Spring Chinook on The Wind or Little White Salmon Rivers, Summer Steelhead on many tributaries, to massive Fall Kings on the Wild & Scenic Klickitat River in drift boats. If booking well in advance, we have vacation rentals available or all inclusive tent stays at our camp for up to four guests at a time ! Ask about fishing kings on The Nushagak River in Alaska for June / July 2017 ! 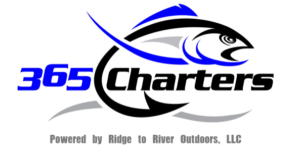 365 Charters & Ridge to River Outdoors, LLC. 365 Charters offers Seattle area charter & sport fishing trips. Based just outside Seattle, 365 Charters is owned and operated by professional guide and charter Captain, Doug Saint-Denis. 365 Charters and sport fishing team offers exclusive, fully furnished fishing charters and guided sport fishing for Salmon, Lingcod, Steelhead, Sturgeon, Kokanee, and more! Ridge to River Outdoors offers HD videos for fishing “How To”, products and more.